Once upon a time, there was a country couple, who were lucky enough to have a city Aunt and Uncle. So the country couple decided to have a big adventure and visit the city. Okay, maybe that makes it sound a little too dramatic. 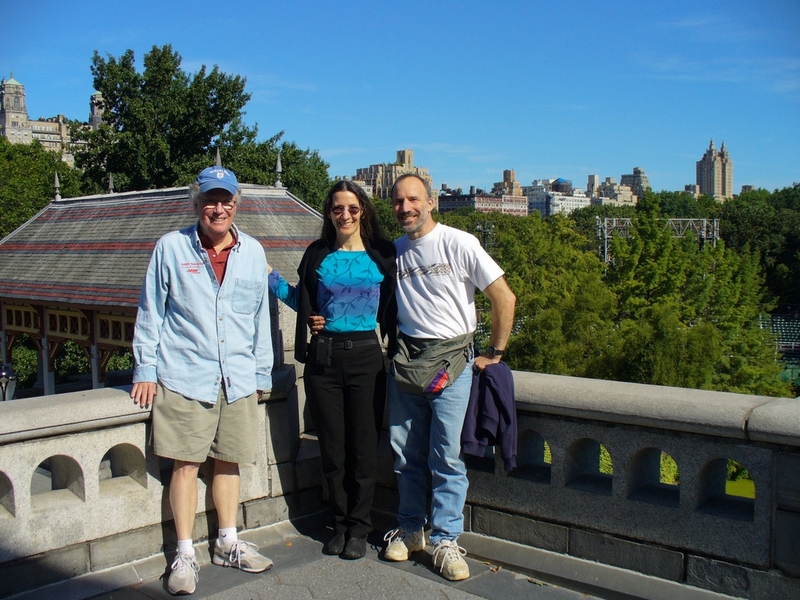 But we did go visit Diane and Frank in New York City in September 2012. The trip started out with a slight adventure. We went with Mom D to the train station near her house. While we were waiting, a man came up and asked if we were waiting for the train. When we replied yes, he informed us that the train was canceled. A moment later, an announcement came on stating that the train was canceled due to track repairs, but (slow) bus service would be provided. 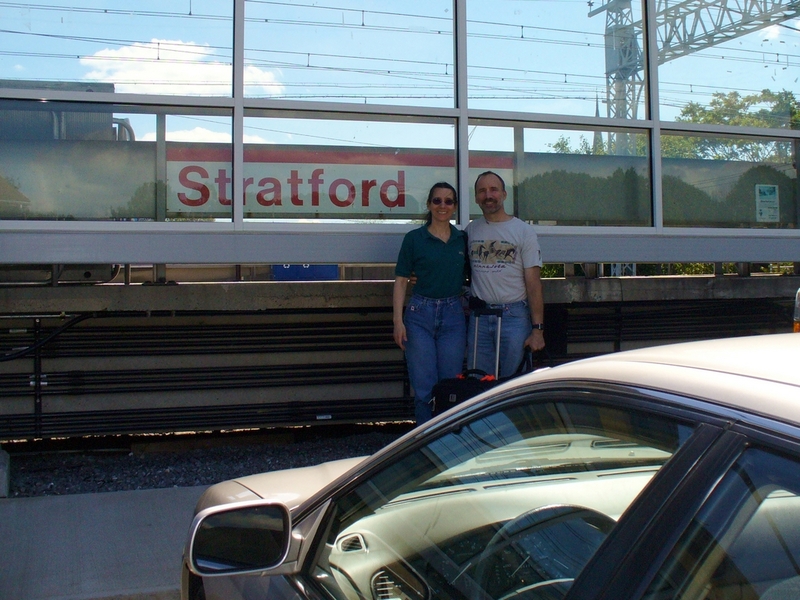 Instead, Mom drove us to a different train station that was a bit further from her house but on the main train line. Other than that slight glitch, the trip in went smoothly, and we were relaxing at Diane and Frank's apartment that evening. 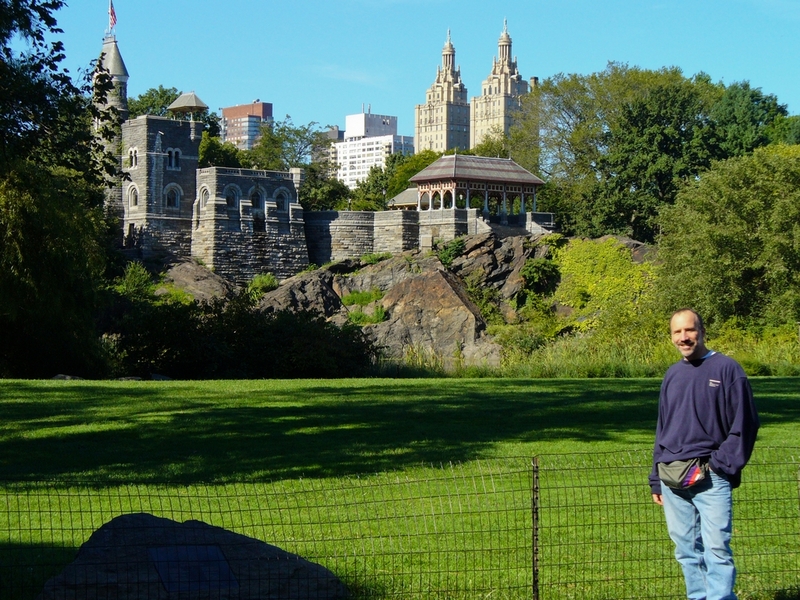 The following morning Frank gave us a guided tour of a section of Central Park. It really is a nice park, with many interesting features. 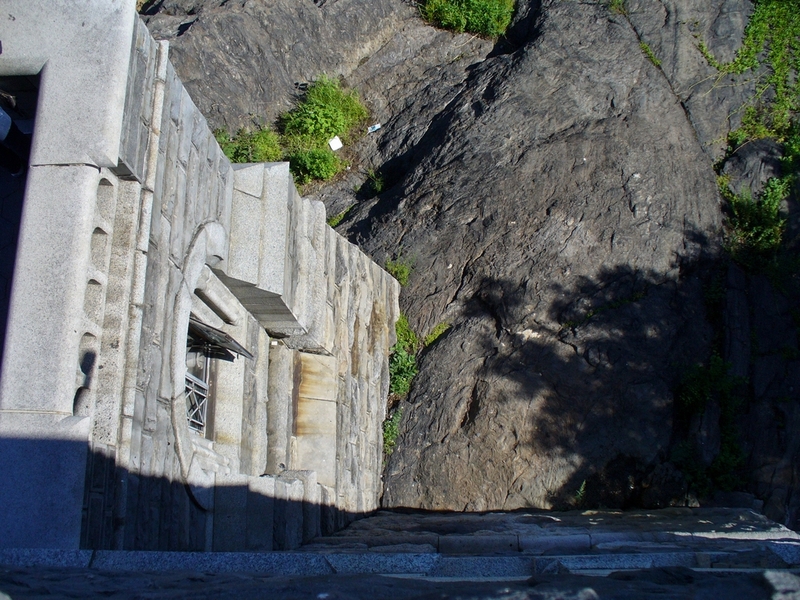 For example, there is the famous Belevdere Castle. 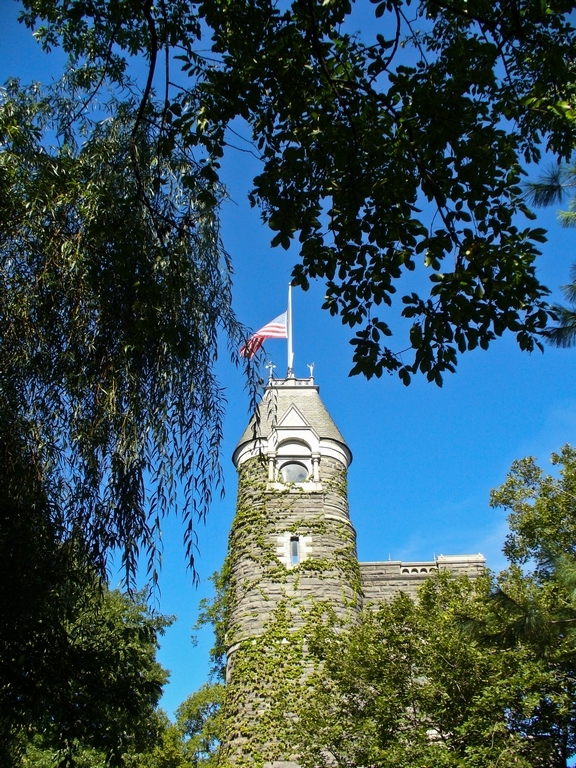 The National Weather Service gets the temperature and other readings from here. The scaffolding in the right of the picture of us is part of the stage where they put on Shakespearean plays. 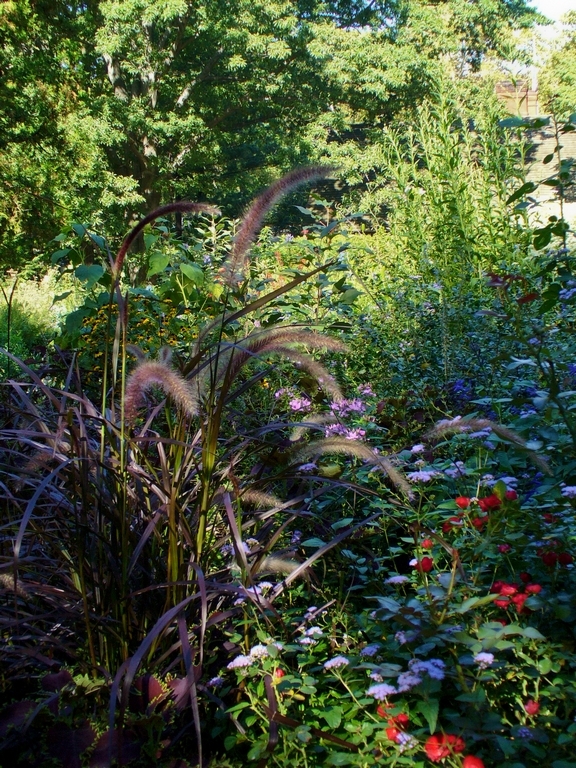 Near that is also a little garden that they call the Shakespeare Garden. At least in theory, the flowers in it are based on ones mentioned in various plays. It is lovely. 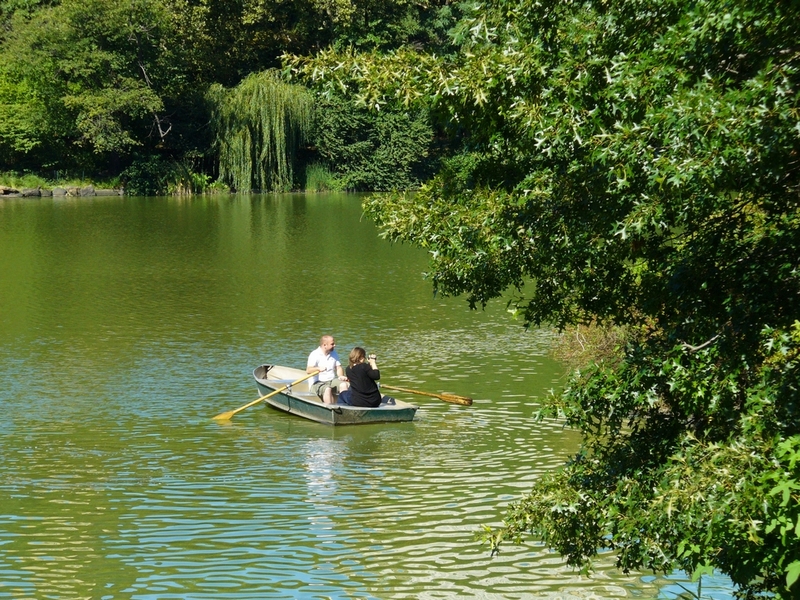 Going through the Rambles brought us to the Turtle Pond. 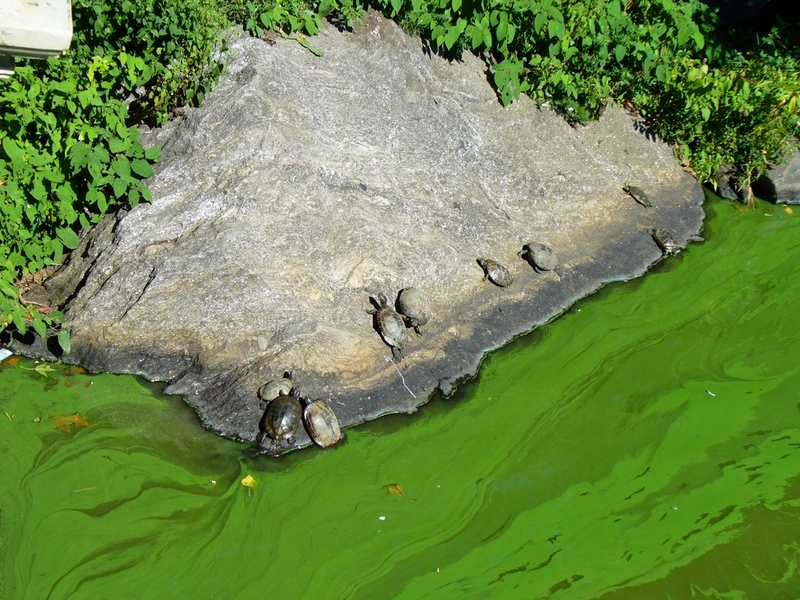 This is very picturesque, although they have a bit of an algae problem at the Turtle Pond right now. That did not keep people out of the row boats, however. 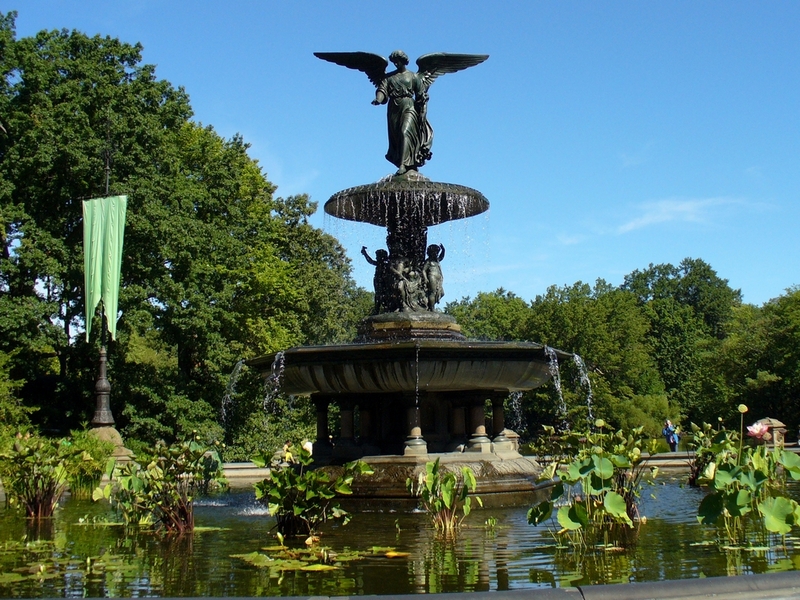 Bethesda Fountain commemorates the Croton water system, which first brought fresh water to New York City in 1842. 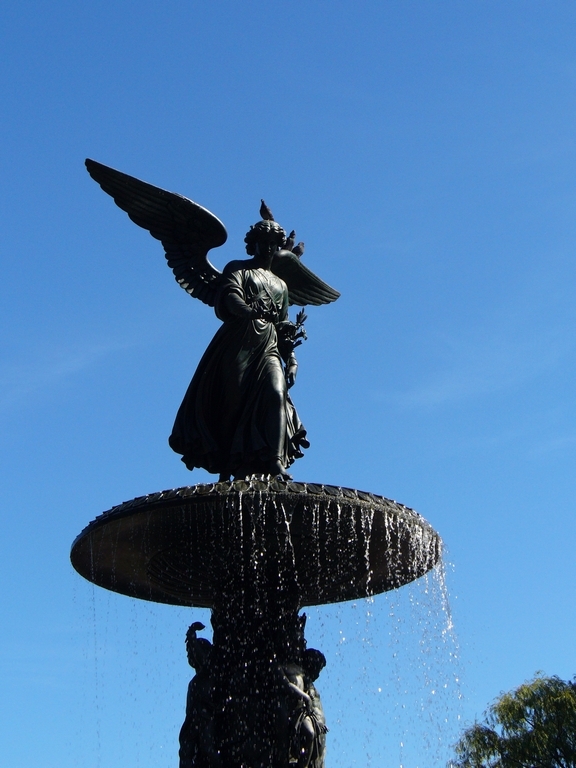 The angel carries a lily in her left hand - a symbol of the water's purity, which was very important to a city that had previously suffered from a devastating cholera epidemic. This piece is the only statue that was commissioned for the Park, and the first time a woman had received a public art commission in NYC. There was a man there making really big bubbles, which gleamed in the sunlight. 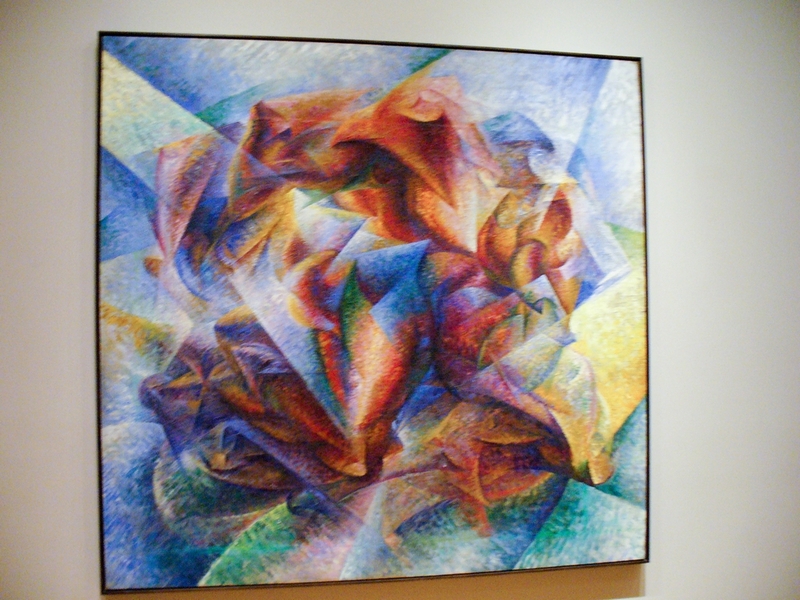 The tour was actually a circuitous path to get to the Museum of Modern Art (MoMA). 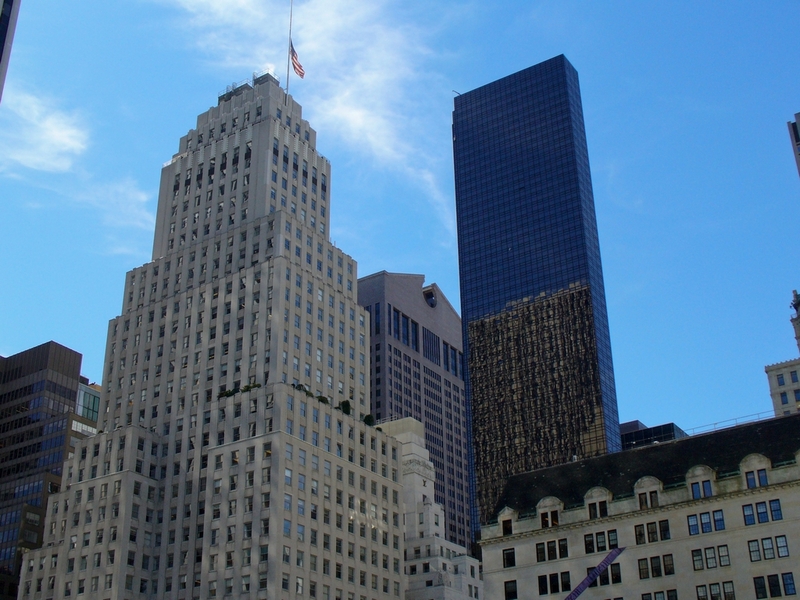 Along the way, we saw some of the many architectural styles on NYC building. 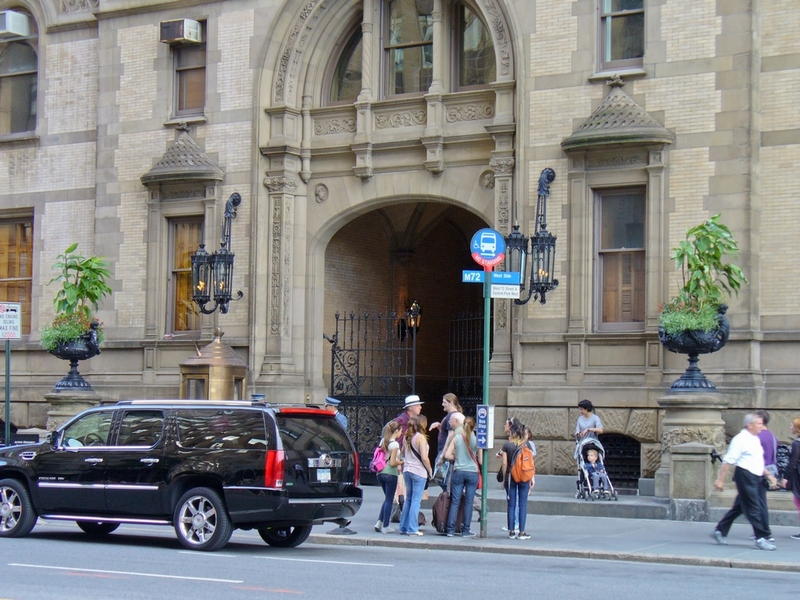 One building close to the MoMA is the University Club Building. According to Frank, this is a rather stuffy club that serves cold food. 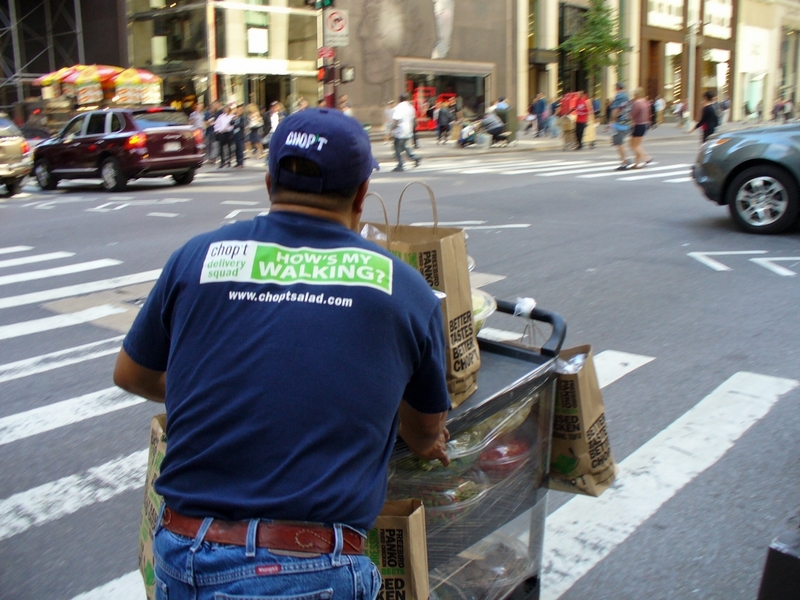 Speaking of cold food, there were numerous deliveries on carts going on. We loved the t-shirts that some of them wore. Paul and I enjoyed touring MoMA. 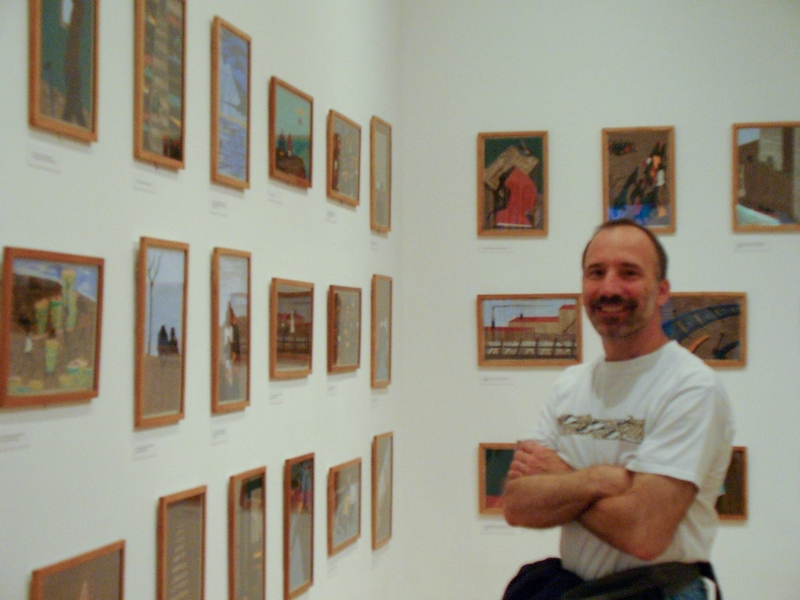 They had a special exhibit on an Italian artist, Alighiero Boetti. This was particularly fun because we could read the piece titles, which were in Italian, and try to translate them - and then check ourselves with the provided translation. Let's just say we have a ways to go. 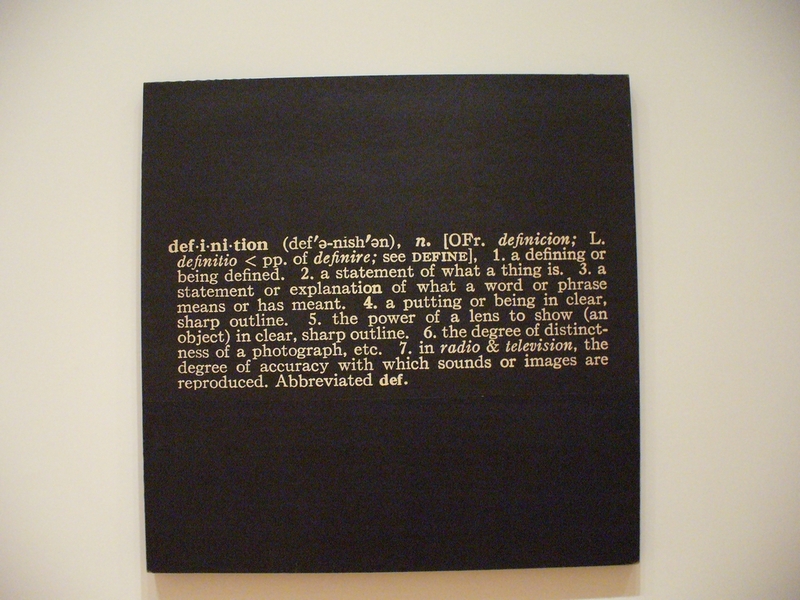 The MoMA, as with many museums, has an informative website. We were very pleased to see the rest of Jacob Lawrence's The Migration Series, which we partially viewed at The Phillips Collection in DC. We took a couple of photos of works just for Anne's Mom, since she would love the modern art so much (okay, perhaps she wouldn't). "Homage to J.S. 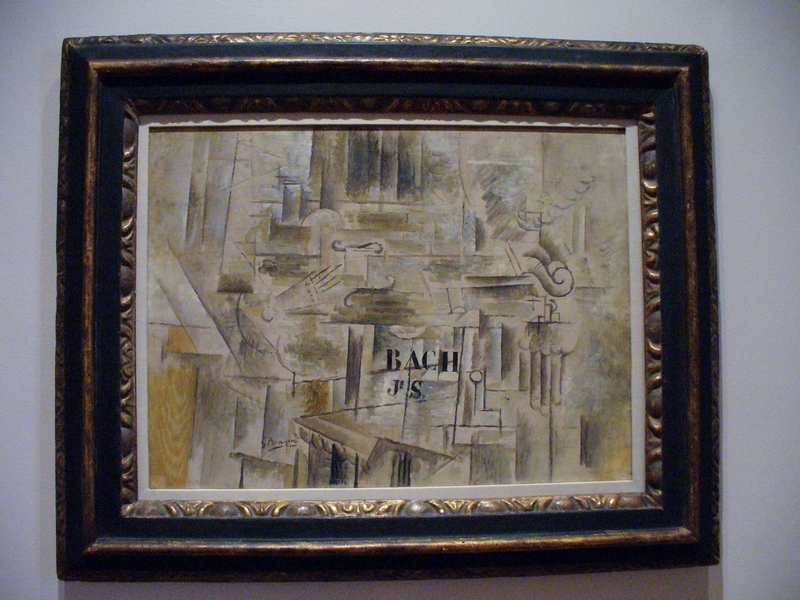 Bach" by George Braque. 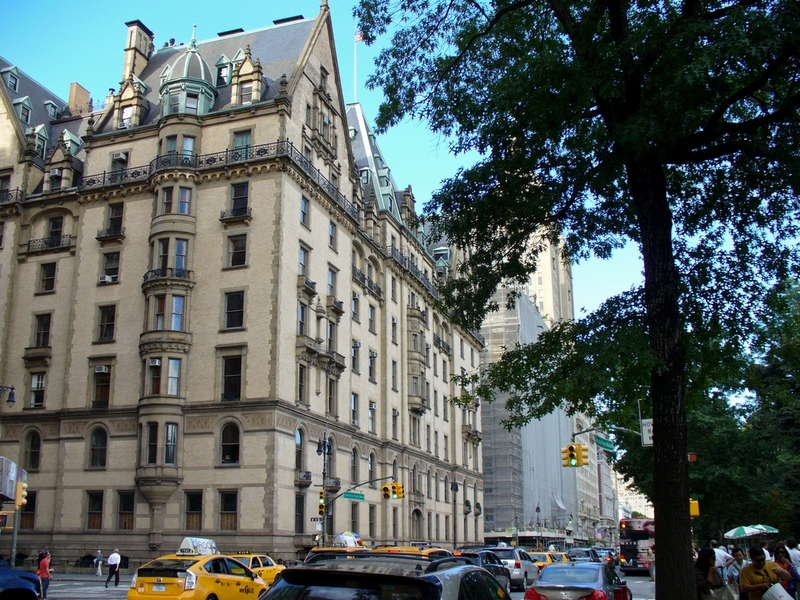 On the way back from MoMA, we walked up the West side of the park until we reached The Dakota, which is the apartment building John Lennon and Yoko Ono lived in, outside of which Lennon was killed. 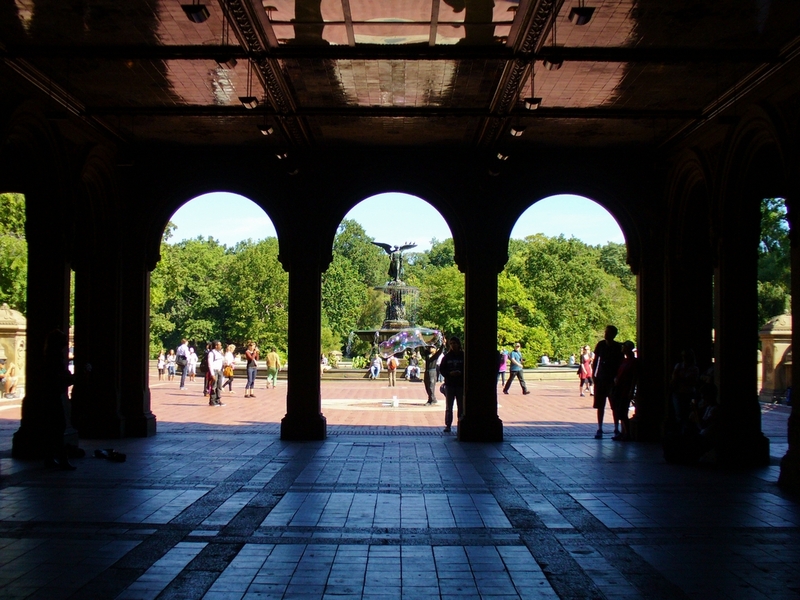 Frank and Diane have occasionally seen Yoko Ono walking in Central Park. Paul wanted to be certain to get some pictures to show his brother Ron. That is probably more than enough pictures for one day, so let's move on to our second day (Wednesday) in NYC.